My Little Pony: Equestria Girls: I Love to Draw! Create a plethora of My Little Pony Equestria Girls characters with this awesome book that comes with stencils, stickers, and easy-to-follow instructions. Now My Little Pony: Equestria fans have everything they need to draw their favorite characters from the show. 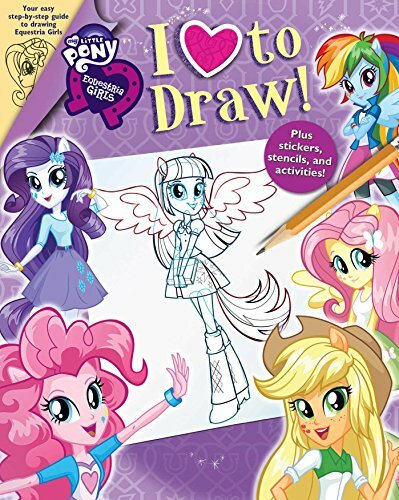 The book provides step-by-step drawing instructions to help kids become Equestria portrait masters. Then they can decorate their creations with stickers, stencils, or their own drawings! If you have any questions about this product by My Little Pony, contact us by completing and submitting the form below. If you are looking for a specif part number, please include it with your message.